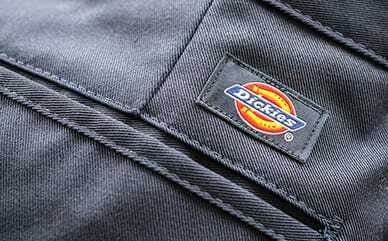 Dickies’ Girls' Classic Fit Straight Leg Stretch Twill Pants have a classic fit through the seat and thigh with a straight leg—making them a perfect pant for school. The cotton/spandex twill material is soft to the touch, and offers just enough stretch to keep her comfortable and moving throughout her day. Slash front pockets and back welt pockets let her store her little necessities she might need throughout the day.